B & M Transmission Offers Auto Repair Services You Can Count On! 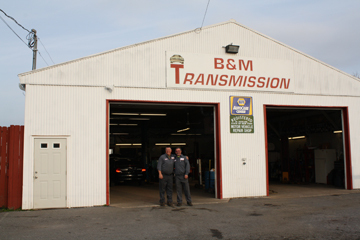 Since 1996, B & M Transmission has provided motorists in the Baldwinsville, NY 13027 area with comprehensive auto repair services that include 4x4 Services, Alignment, Brakes, Car & Truck Care, Domestic Cars & Trucks, Electrical Services, Electronic Services, Engine & Transmission, Engine Maintenance, General Services, Heating and Cooling Services, Import Cars & Trucks, Inspections and Emissions, Miscellaneous Services, Tires, Towing, Transmission Services and Undercar Services. Our goal is to offer the best services available at affordable prices to get you back on the road in no time. For a high-performing vehicle, trust B & M Transmission with your car, truck, or van. To learn more about the services we offer, please contact us by phone at 315-652-3241 or send us an email. We also invite you to learn more about our dedication to you, our valued customer. Excellent service at a fair price. Knowledgeable and efficient technicians. I highly recommend them for all your automotive needs !! The gang at B&M did a great job on my 2006 Corolla. She shifts like new. They came in under budget and completed on time as promised. I would recommend them to anyone who needed a transmission rebuilt! I cant say enough about this shop. I called and spoke with the manager and expressed concerns about my vehicle and it's ill condition and the thought of thousands of dollars I don't have for repairs gave me anxiety... He was very empathetic to my financial situation being a person on a fixed income and raising children as a single parent, he put my mind at ease and spoke to me on a human level. Not as someone who is looking to score a big payday but as someone who understood..They took my vehicle assessed only the core problem I brought it in for and made a very comfortable estimate for repairs that was reasonable and timely.. My car was fully repaired and again the cost was not shocking compared to other service repair shops. They fixed the problem and gave me advice on never to use after market parts and to try to stay with OEM parts for longevity and performance of the vehicle.. 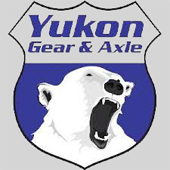 I thank them for their integrity and over the top customer service and quality repairs. I'm sure they will be in buisness for a very long time to come.. Thanks guys! Excellent repair shop.finally a place that knows what they are doing!